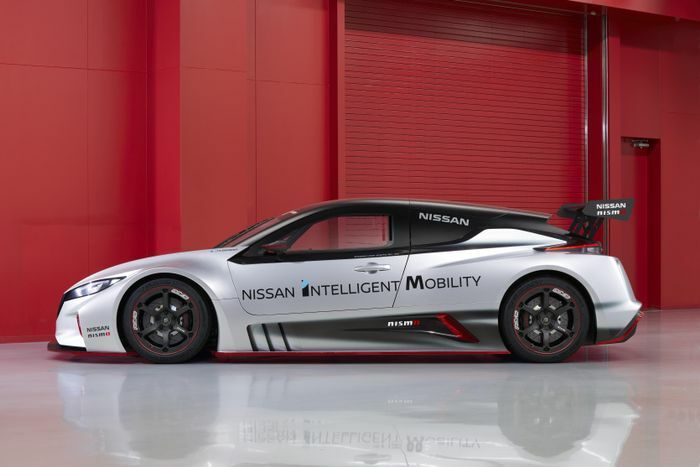 Even in Nismo form, the Nissan Leaf EV isn’t a car that’s likely to thrill. 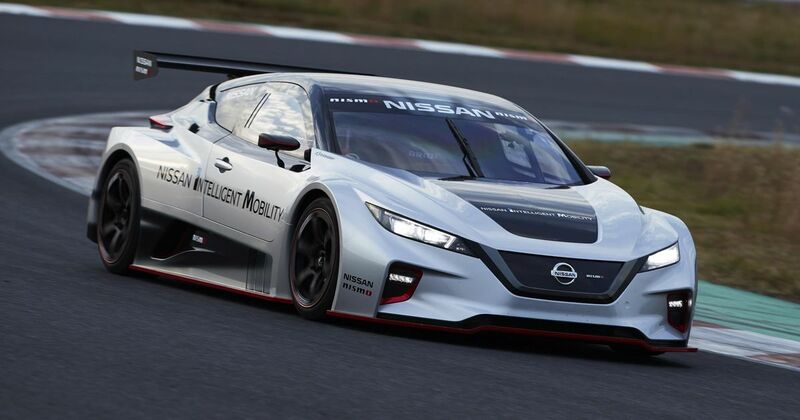 But there’s clearly potential, as proven by this, the all-new Leaf Nismo RC. Effectively a follow-up to 2013’s Leaf RC, it’s a purpose-built racing car styled on the current-gen Leaf road car. 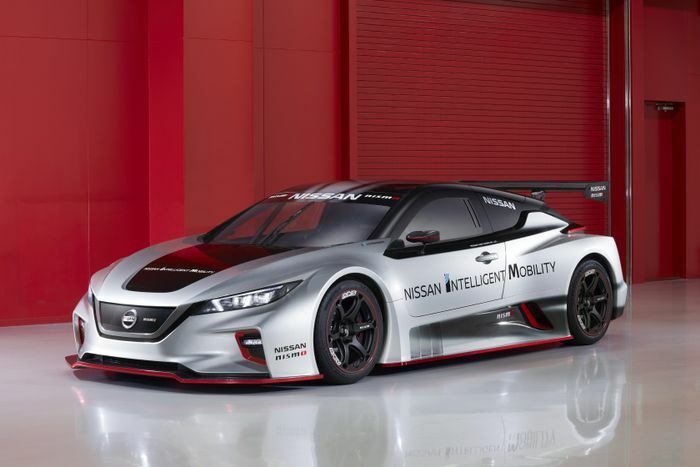 It isn’t just a silhouette racer that has nothing to do with the Leaf you can walk into any Nissan dealer to buy, however. 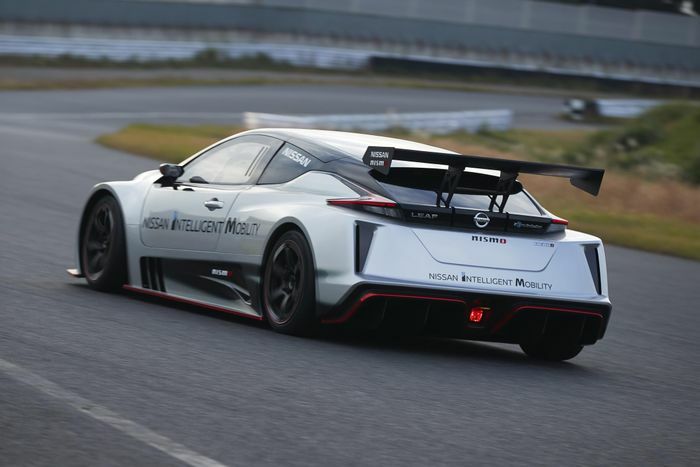 The company says that the RC has taken “advanced battery technology and drivetrain components” from the car including the lithium-ion battery and the inverters. It’s all-wheel drive, with a motor powering each axle. Each develops 120kW, for a maximum output of 240kW (321bhp). They’re also good for an instantaneously-delivered 640lb ft of torque. Both figures are over double that of the old RC. Despite being weighed down by a bulky battery pack, the car tips the scales at 1220kg thanks to the use of a carbonfibre monocoque. As a result of the reasonably modest weight figure, it’ll do 0-62mph in 3.4 seconds.